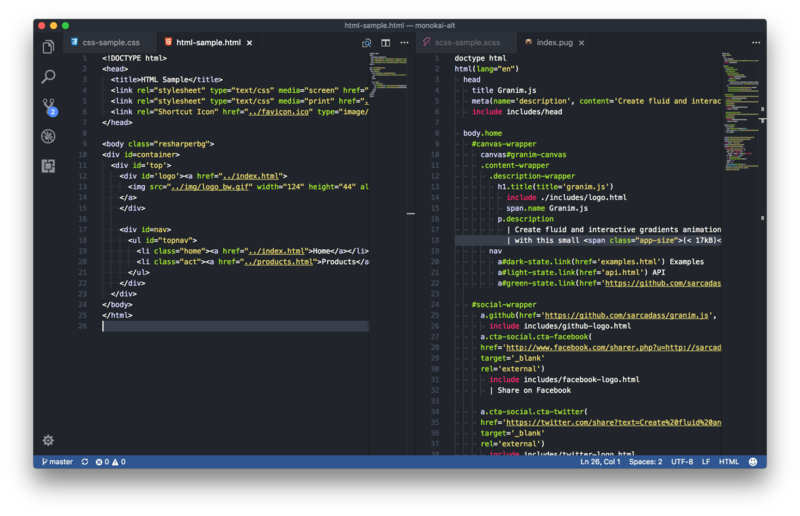 Visual Studio Code>Themes>Monokai AltNew to Visual Studio Code? Get it now. 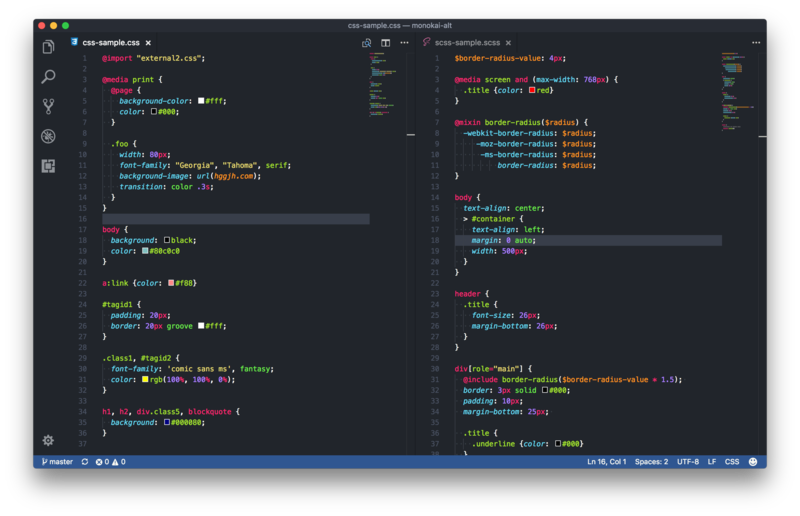 Monokai-alt is a theme for Microsoft Visual Studio Code. 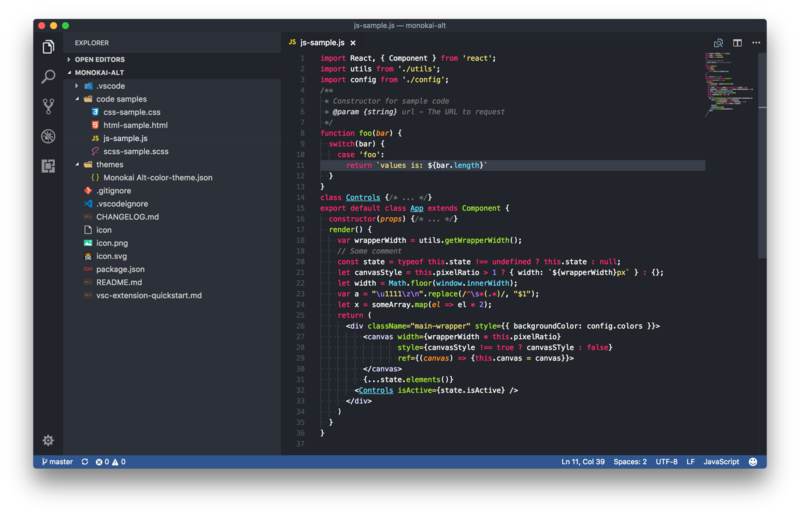 It is a slightly modified Monokai theme based on my previous PhpStorm color scheme template. This theme is based on One Dark Flatland Monokai. Search for 'monokai-alt' in the vscode extension searchbar. Once installed, relaunch vscode then open the command palette (ctrl/Command + Shift + p) then type 'color theme', then choose 'Monokai Alt'.